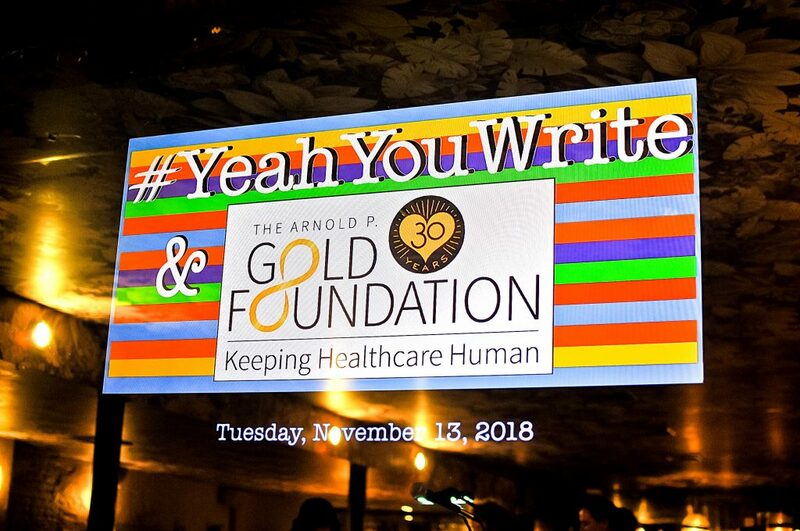 This November, The Arnold P. Gold Foundation joined with the wonderful #YeahYouWrite monthly author series to host a special evening focused on humanism in healthcare at Bo’s Kitchen & Bar Room in New York City. 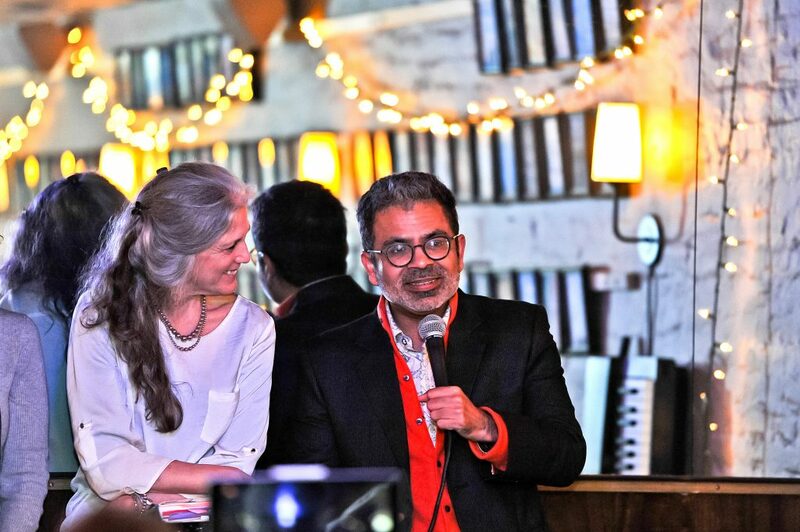 With the theme “Diagnosis: Literature,” the literary event on November 13, 2018, featured authors Judith Hannan, Dr. Danielle Ofri, Dr. Rana Awdish, Akhil Sharma, and Sands Hall. 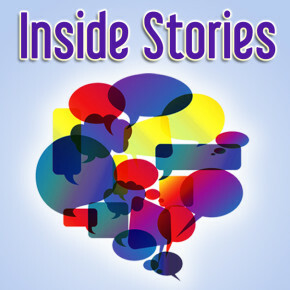 Each writer read passages from their books. 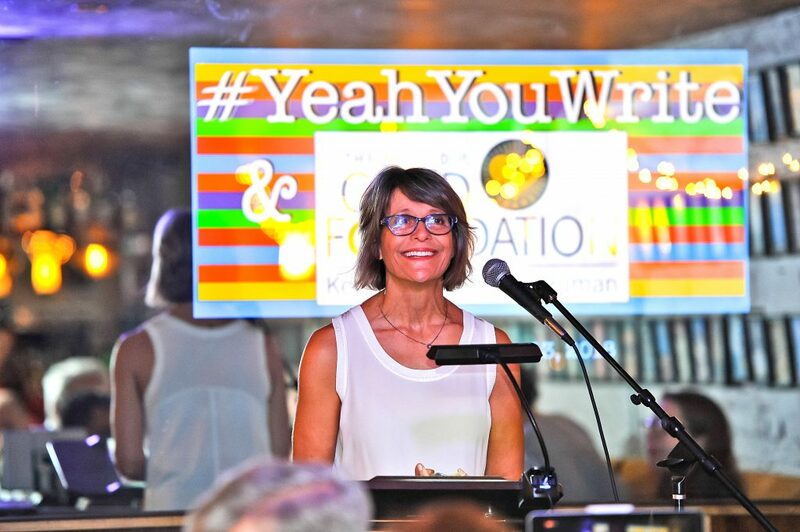 A very special thank you to Lisa Kristel and Robin Martin from #YeahYouWrite for inviting the Gold Foundation. 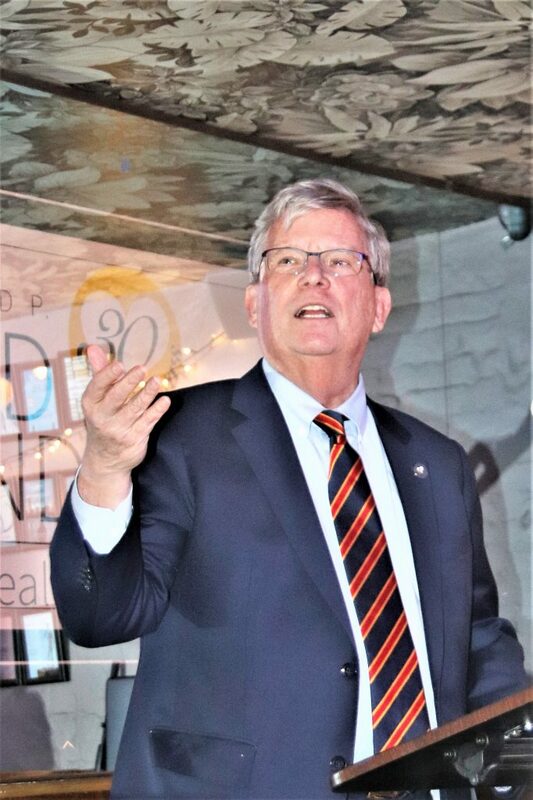 The evening was streamed live on Facebook. 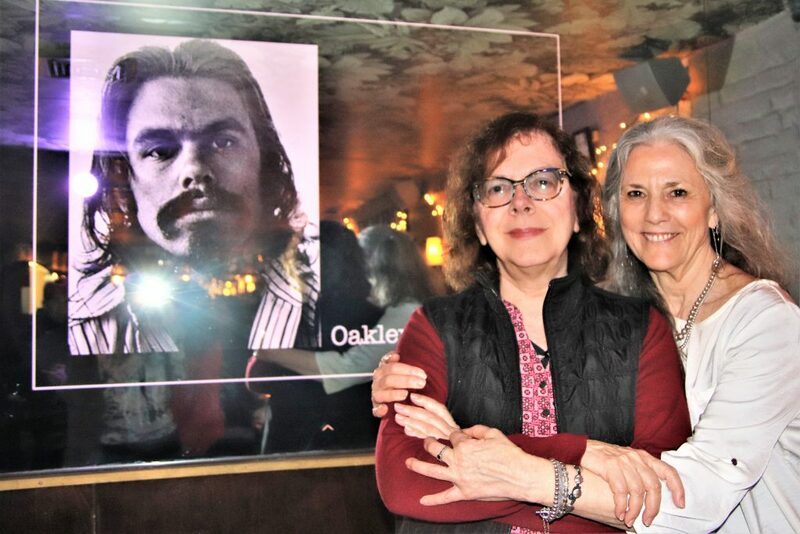 Thank you to Robin from #YeahYouWrite and Gwen Tundermann from the Gold Foundation for the beautiful photos below. More photos by Robin are available at the #YeahYouWrite website. 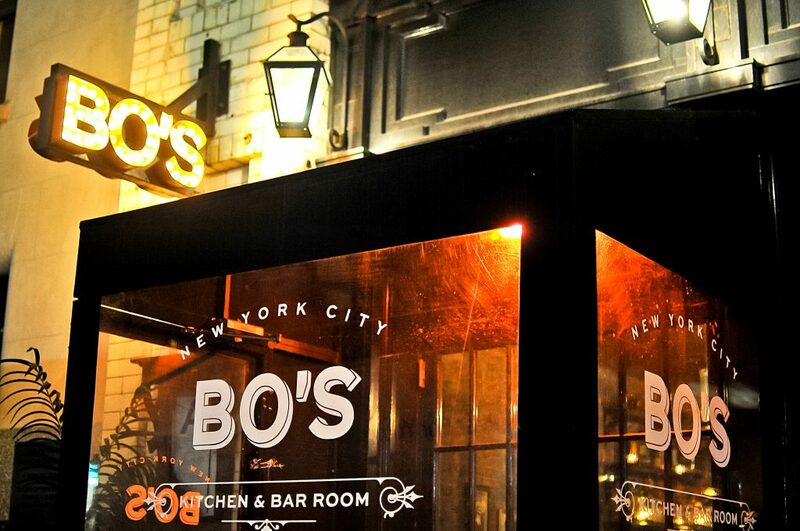 Bo's Kitchen & Bar Room has hosted the monthly #YeahYouWrite author series for three years. 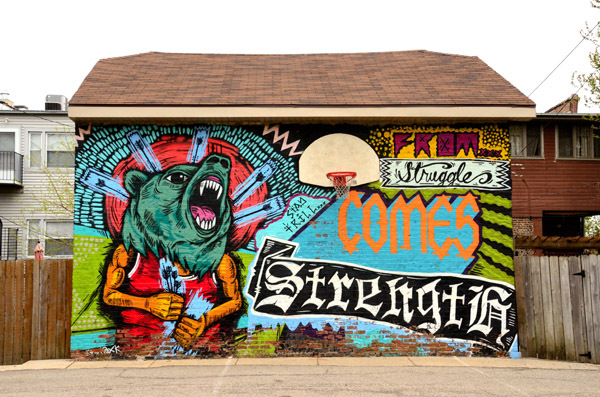 The Nov. 13th event marked the first collaboration between the Gold Foundation and #YeahYouWrite. 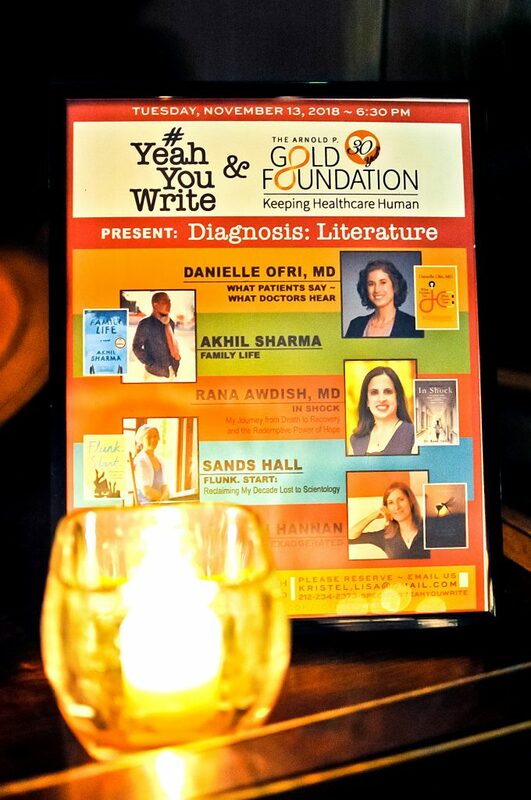 This particular #YeahYouWrite evening was called "Diagnosis: Literature," with a special focus on health. 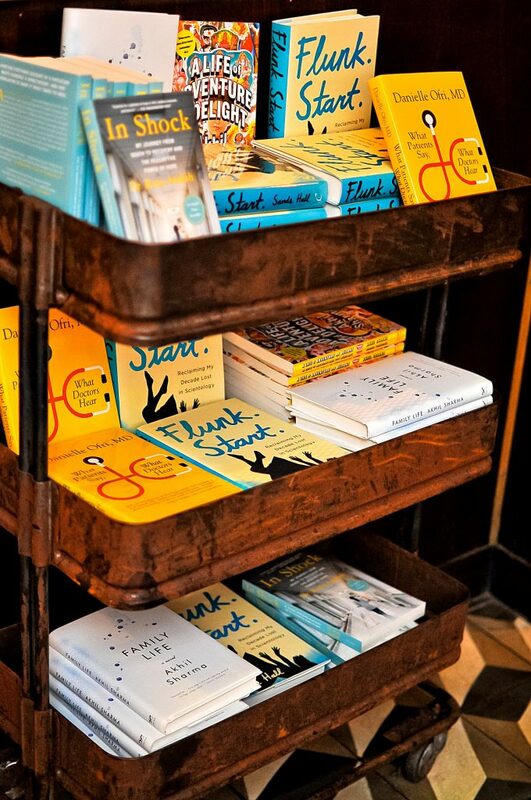 Books by the featured authors were available for purchase and for signing. 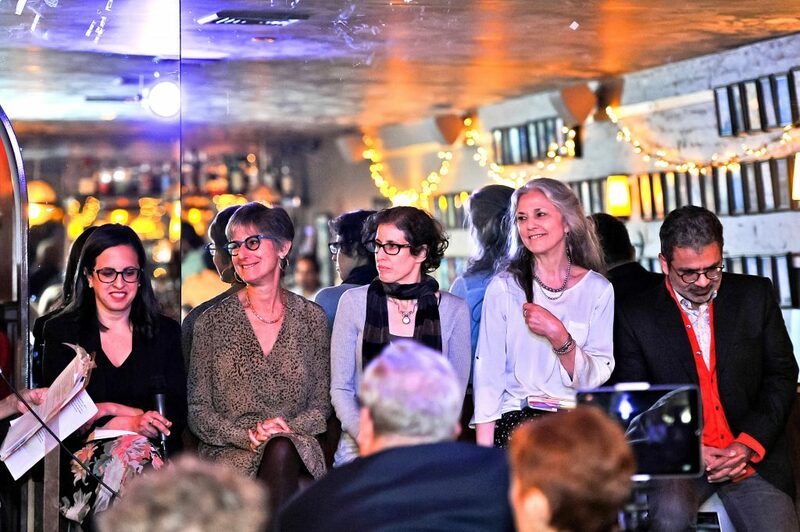 The “Diagnosis: Literature” event drew several Gold Foundation Board and staff members, including, from left: Senior Fellow Nicole Napolitano, Director of Humanistic Healthcare Strategy Pia Miller, Trustee Elaine Adler, interim Chief Development Officer Kerry Ford, Trustee and Co-founder Sandra Gold, and supporter Lori Abrams. 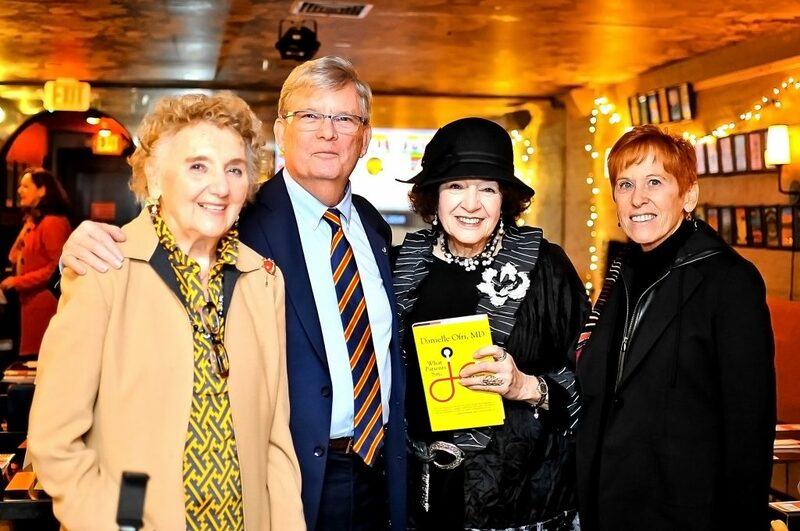 From left, Gold Trustee Elaine Adler, President Dr. Richard Levin, Co-founder Sandra Gold, and Dr. Levin’s wife, Jane Levin, celebrate the special evening. 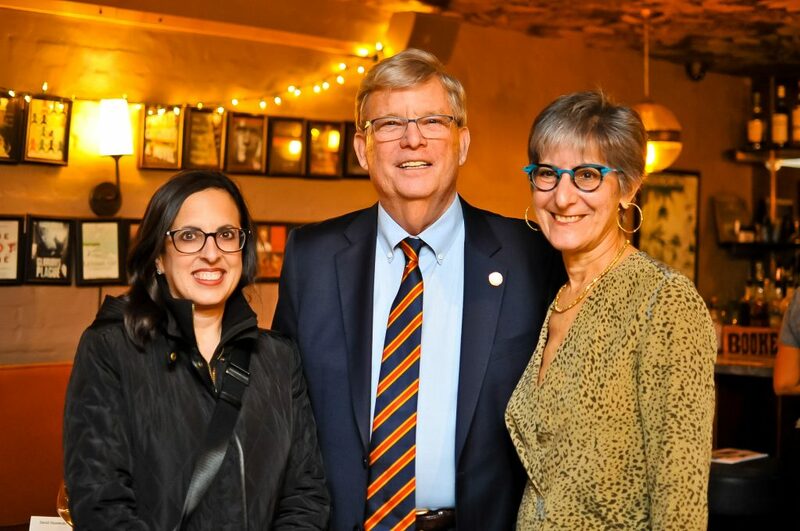 Gold Foundation President Dr. Richard Levin with Dr. Rana Awdish, left, and Judith Hannan, right. 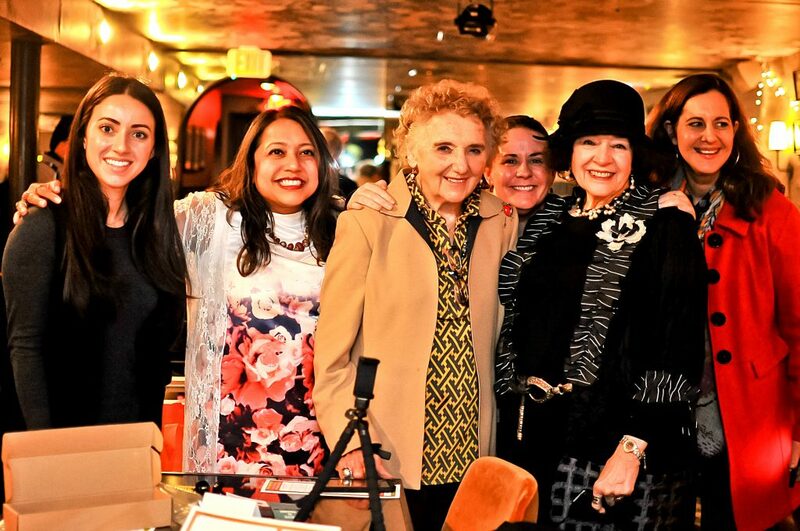 Lisa Kristel of Bo's Restaurant hosted the wonderful evening. 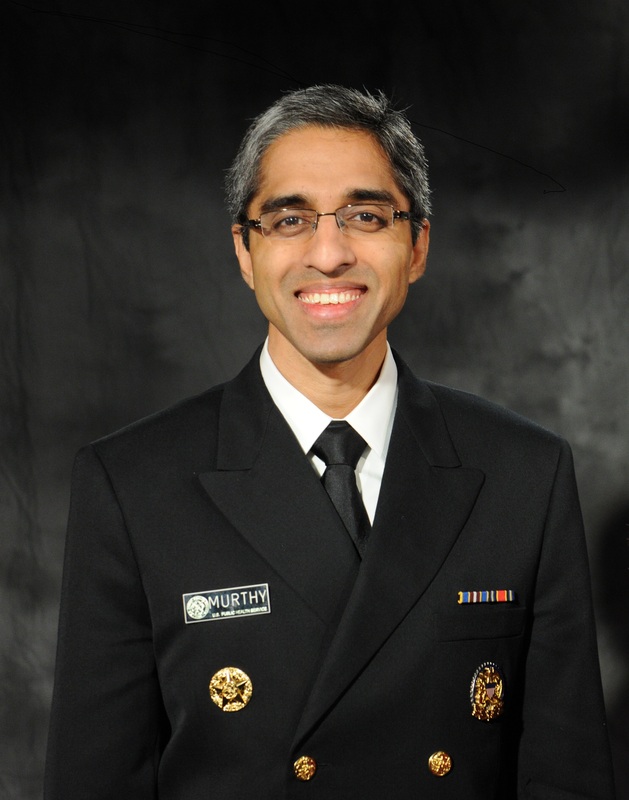 Dr. Levin introduced the special theme of humanism in healthcare. 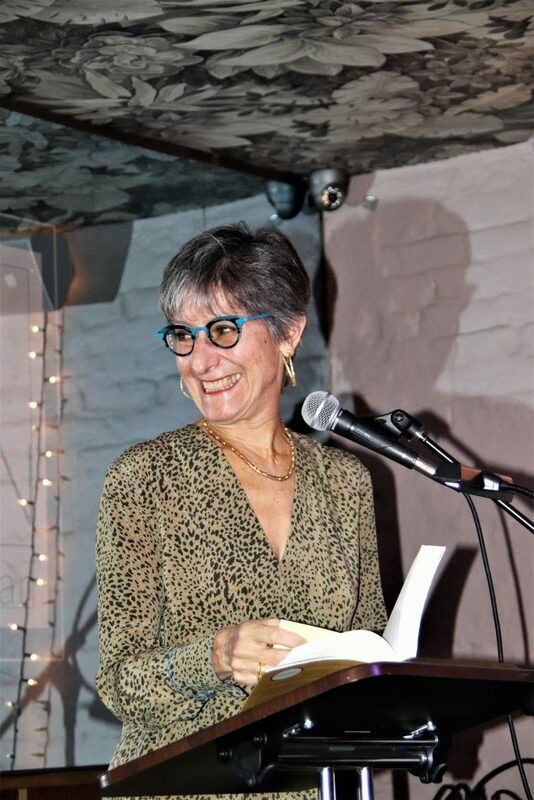 Judith Hannan read from her memoir, "Motherhood Exaggerated." 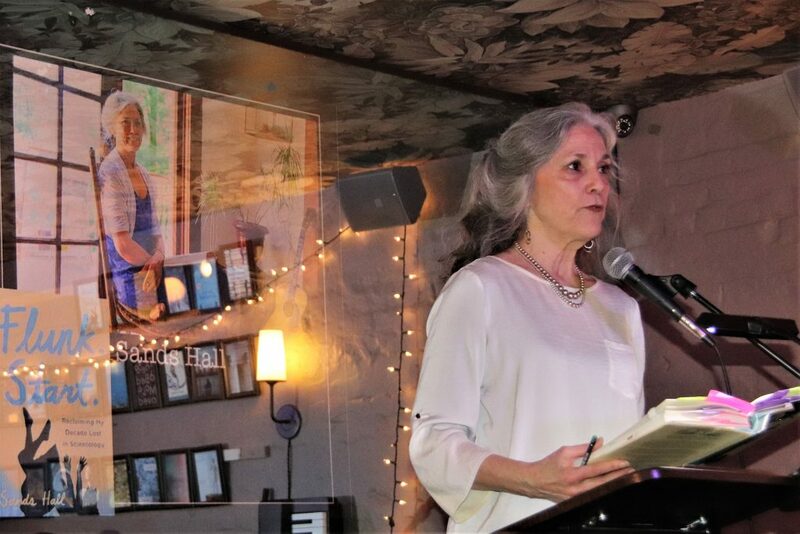 Sands Hall read from her memoir, "Flunk Start: Reclaiming My Decade Lost in Scientology." 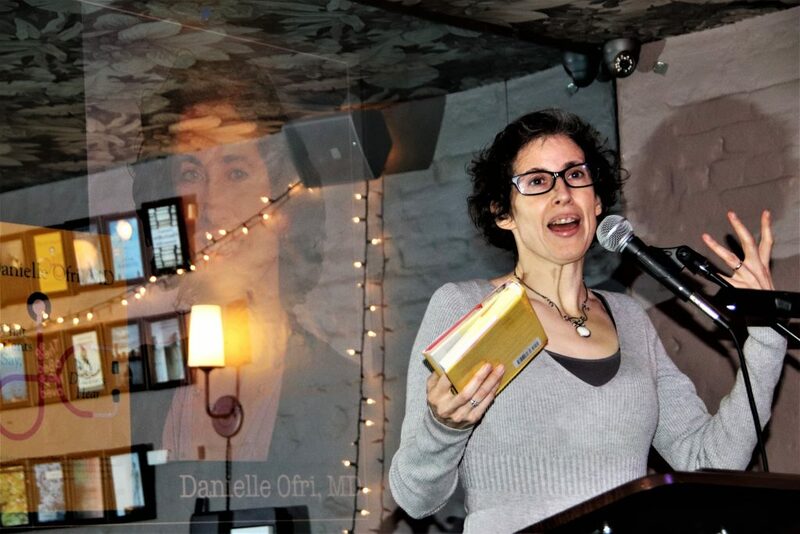 Dr. Danielle Ofri read from her book "What Patients Say, What Doctors Hear." 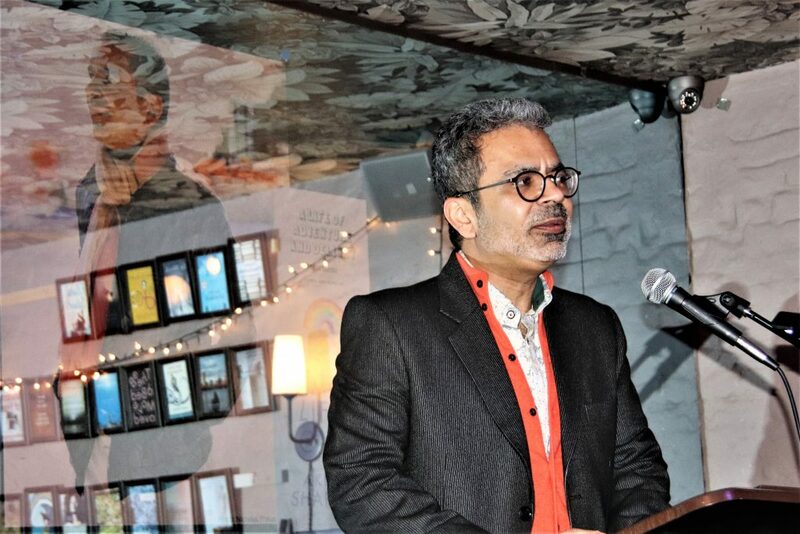 Akhil Sharma read from his book "Family Life." 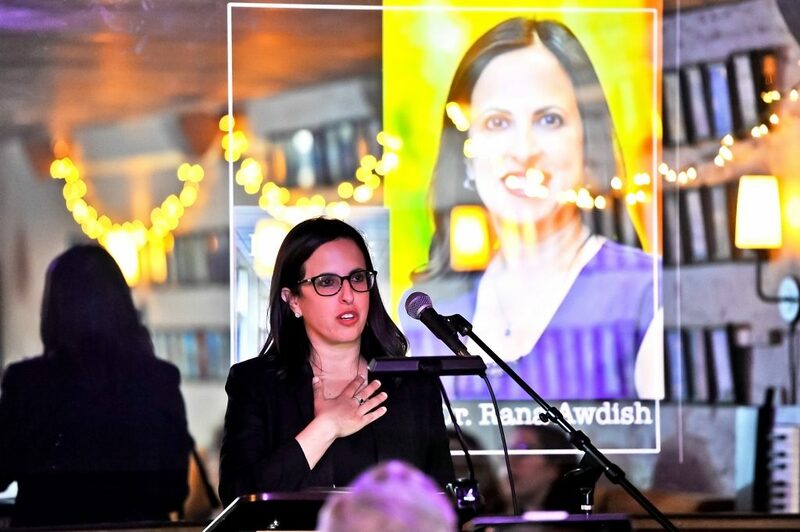 Dr. Rana Awdish read from her book, "In Shock." The evening ended with a rapid-fire question series, in which all the authors answered questions from host Lisa Kristel. Mr. Sharma offers a moment of levity in his answers during the Q&A session. The evening also included several dynamic open mic readings.